Want to detail your own car in San Diego? Here are a few tips to help you detail your vehicle. Start off by removing the floor mats and vacuuming the floors. A handheld vac will make it easy to get into all the nooks and crannies of your vehicle. If there are carpet stains you may want to try applying a carpet stain removal solution with a brush in order to dissolve the stain. Interior hard surfaces can be cleaned with a damp cloth and a mild cleanser. Use a leather cleansing product to clean the seats if you have leather upholstery. If you have any worn areas made out of vinyl you may be able to repair them using a kit available at auto supply stores. 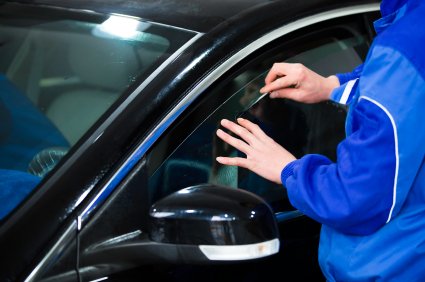 Wash your vehicle in order to evaluate the condition of your paint. Scratches can be minimized with a clearcoate-safe cleaning produt. More aggressive products may be needed if you have an excessive amount of scratches and swirls. It’s generally recommended to start off with a less abrasive product. Polish off scratches with a mild polish. Finish off with a plish which will give your car a shiny and glossy finish. The cleanser used for the wheels depends on the type of wheel. If you have rough textured alloy wheels you can use an acid-based cleaner. Metal polish or glass cleaner can be used to give chrome wheels a shine. Acid cleaners should be avoided on clearcoated and alloy wheels. Tired can be cleaned using a whitewall tire cleanser and followed uo with a tire dressing. A thorough detailing job can take many hours to complete. Contact us if you are interested in a free estimate on auto detailing in San Diego.